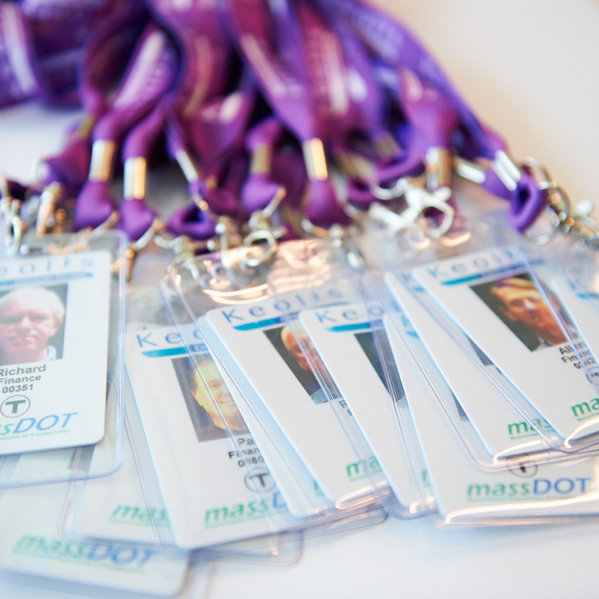 Employee ID’s and lanyards are a important for company safety. We have done both for Keolis Commuter Rail in Boston, MA. We also print their forms, business cards and collateral, as well as do apparel and safety apparel.